Mr. Inspector is NOT THE CHEAPEST inspector in the area. 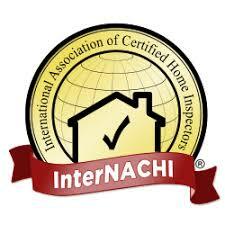 Home inspection service requires experience and an eye for what really matters. We do not simply check the boxes and leave the customer to their own devices to sort thru a confusing report. At ‘Mr. Inspector’ our inspectors Glen Burton and Glenn Carnes are here to ensure that our customers have 100% confidence in any real estate transaction. Whether you are potential buyer or seller, Glen and Glenn have over 31 years of inspection experience that you can trust. Though we are not the lowest cost inspector, we do provide FREE termite reports and Free foundation measurements if irregularities are apparent. Other inspectors may not offer or even perform these critical services. We will also inspect installed irrigation/sprinkler systems Free of charge. All told, our inspections are well worth the money and extremely competitive given the scope of the report in it's entirety. Text or Call for a free quote. Quality work is completed in a timely manner. Pricing was very competitive and Glenn is just an all around great guy! Will definitely use him again! This was my first home inspection. I needed it done last minute and fortunately I found Mr. Inspector. Glenn came out the next day and gave a thorough review of his findings. He explained each issue in detail and answered all of my questions. If I need another inspection in Austin in the future I will use them again. Glen and Glenn are absolutely awesome. Not only are they thorough but they are fun and knowledgeable. They take pictures of everything and leverage technology to help walk you through everything they find to help insure you and your family are making the right investment. I'm a visual learner and a novice so we would visit their inspections near the end and they would literally point out the problems they found and explain why they were concerns. This was extremely helpful. Furthermore, the write up they send is also extremely detailed. We will use their service from now on.